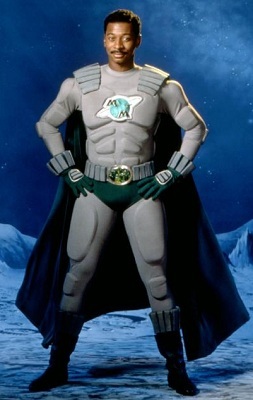 Today I’m going to do something completely different. Normally I write a thousand-word article providing a fun twist on movies. 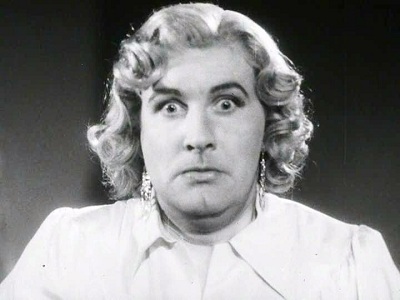 This time I’m going to use very few words and rely mainly on images and a few letters to provide a unique take on today’s topic: filmmakers’ names. 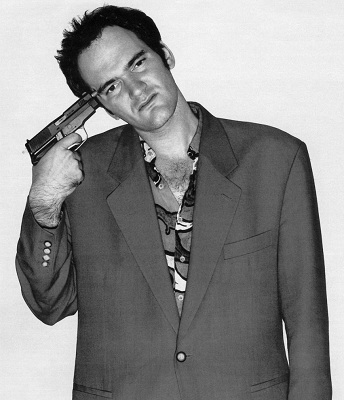 I’m going to show a picture of a filmmaker or a screenshot from a film of his along with his initials and simply allow you to enjoy the ensuing ironic humor. Let’s start with a bang! 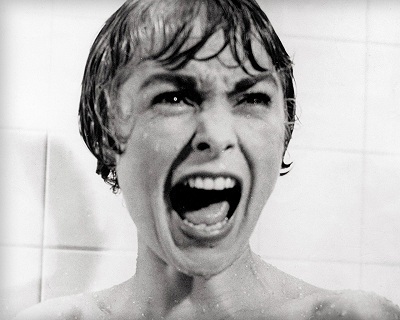 Janet Leigh is just screaming her director’s initials in the famous shower scene from Psycho. Um… this is more than a little creepy, Mr. Wood. 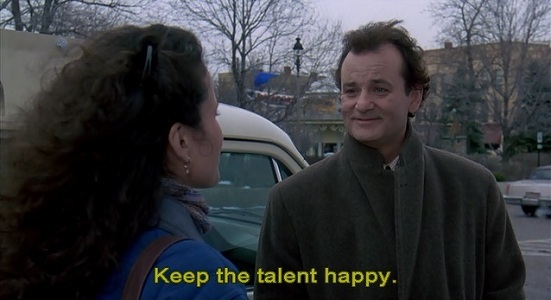 It seems he didn’t keep the talent happy because he hasn’t worked with Bill Murray since Groundhog Day. Poor HR. 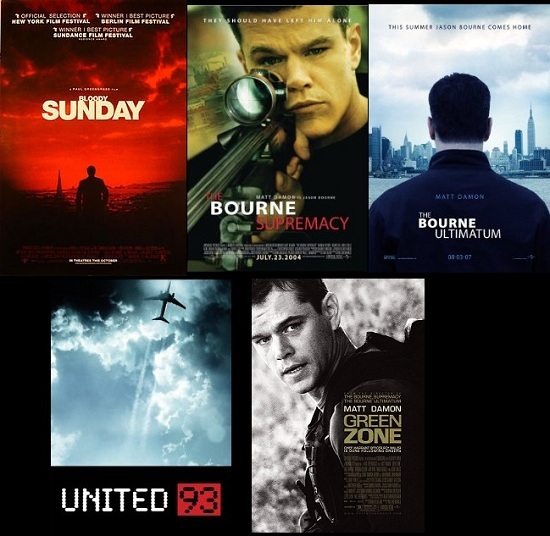 Is Paul Greengrass even capable of making a PG-rated movie? 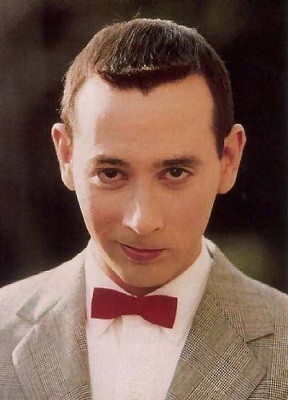 Paul Reubens suffered a bit of a PR problem in the early ’90s. Somehow he doesn’t strike me as a sensitive artiste. “Shut up” is an impolite way to say the director’s initials. You should apologize, Bill. 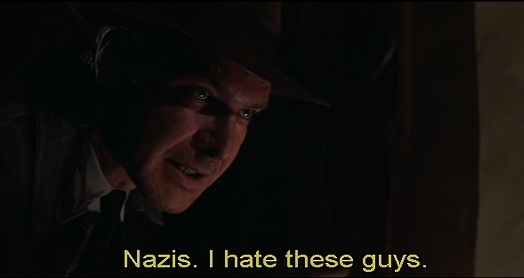 Steven Spielberg clearly isn’t too fond of Nazis. I hope you had fun with this article. If you think of any other ironic initials for actors, writers, or other people inside or outside Hollywood, I’d love to hear them. This is the Deja Reviewer bidding you farewell until we meet again. Special thanks to my wife for her help compiling all of these pictures. This entry was posted in Random Stuff and tagged directors, films, fun, funny, movies. Bookmark the permalink.